We took friends to a conference at the University of Namibia in Windhoek and used the opportunity for a short ten days journey into Namibia. 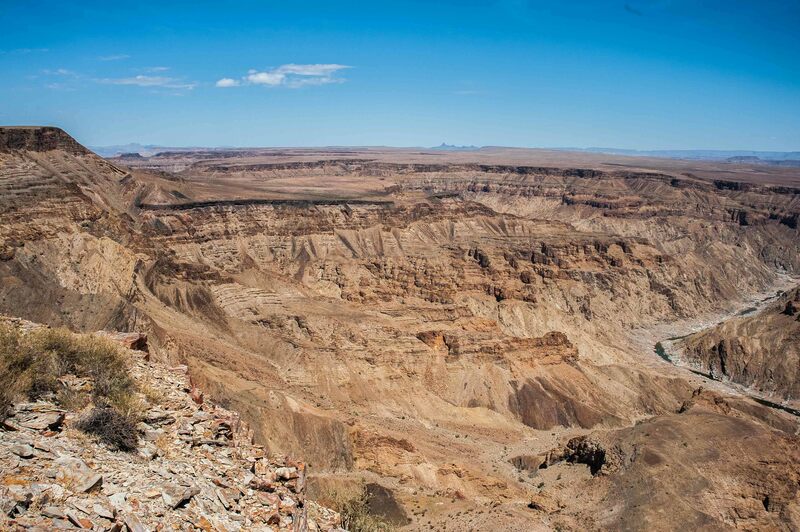 You might think – ten days is not that short, but, be assured, for Namibia it is. Your are rushing through it, madly, almost. 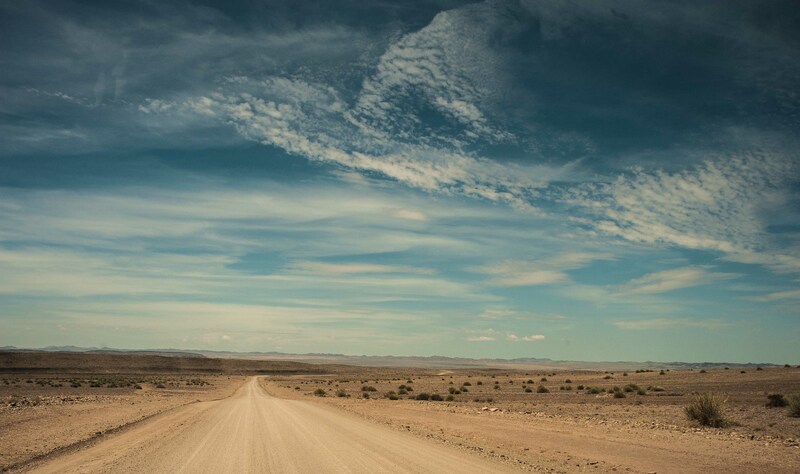 After an eight hour drive from Stellenbosch to the border post at Vioolsdrift, crossing into Namibia. At first, the impression is of a great wide open nothingness until, by and by magic happens. The landscape is beginning to transform you to see it for what it means: wide and open. You within yourself are becoming wide and open. From an observer you are changed into someone who is enabled to experience its awe, until, eventually, your are completely absorbed by it. After an overnight stay at Grünau, we are travelling north-west. 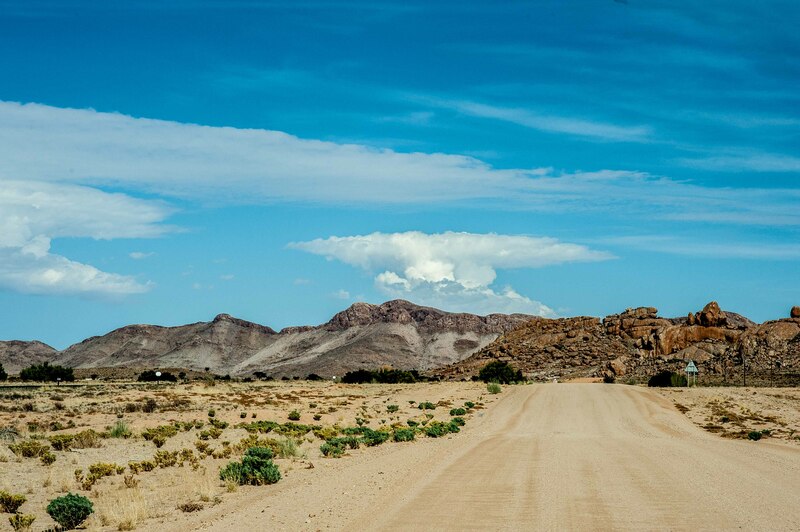 Our target is that strange former colonial outpost of Lüderitz, with a detour past the Fish River canyon. 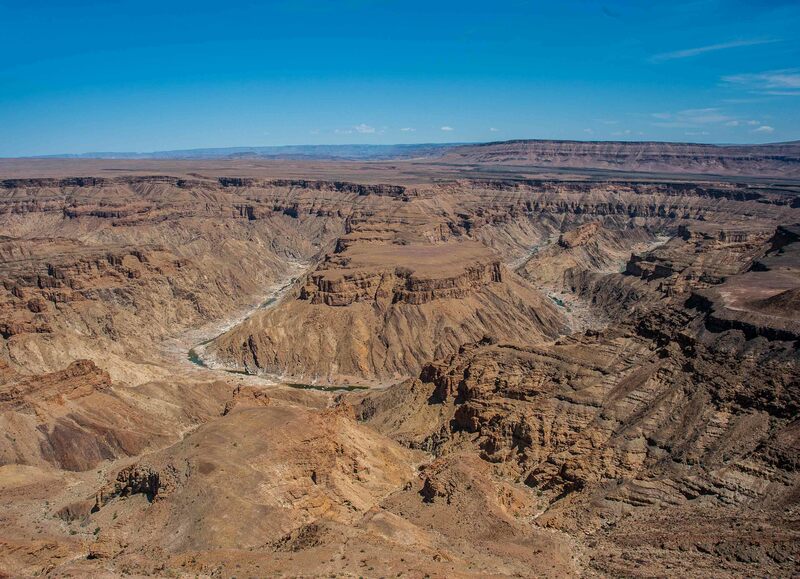 Fish River canyon. The second most impressive canyon in the world. 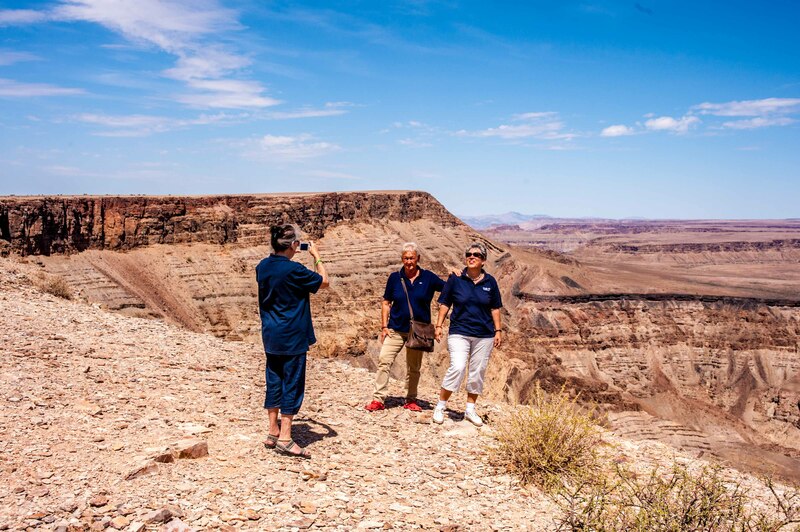 From the canyon connecting with the road to Lüderitz. Approach to Lüderitz at dusk. The dunes of the Namib desert to the north. This is the first part of our account of a short visit to Namibia. Zauberhafte Fotos – wie gern wäre ich dabei gewesen! Mein letzter Besuch in Lüderitz liegt über 20 Jahre zurück.